Nearly 100 prospective students entered the gates of Avondale Community College two weeks ago for their hugely successful open night. The students were given a guided tour of the schools impressive facilities and the students got a chance to experience first hand what life there is like. 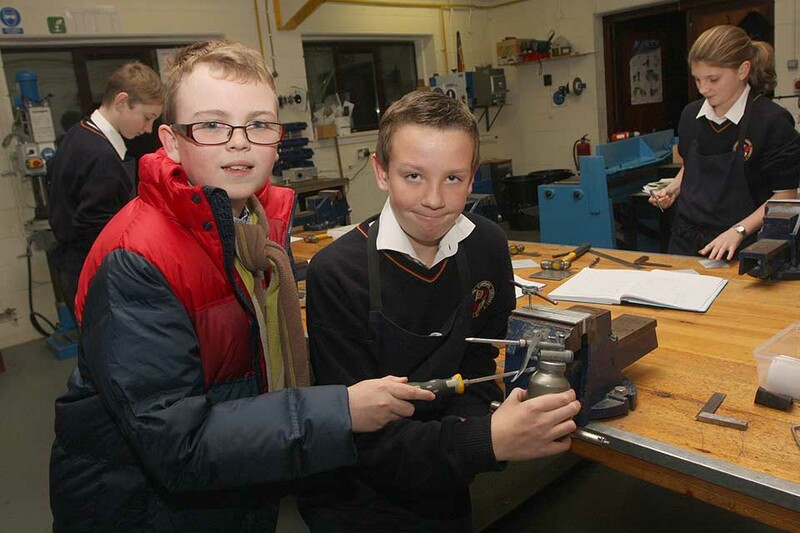 They also got to experience the practical elements on offer, with live demonstrations taking place in the woodwork, metalwork and home economics rooms. An expressive experiment involving dry ice also had students impressed in the science lab. Afterwards, the perspective students and their parents were given a talk from school principal, Rosaleen O’Neill, about what they could expect at the school. She talked about the schools impressive record in the class room and on the sports field. The students were talked through their subject choices for junior cert level and were also advised to keep in mind what they wanted to do at third level. Speaking after the event, deputy principal, Fergal Boyle told wicklownews.net that the school was growing all the time and would continue to grow.